Villa Sophia has a fabulous location in the peaceful village of Megalochori on a quiet, winding street, away from the hustle and bustle of nearby Fira. 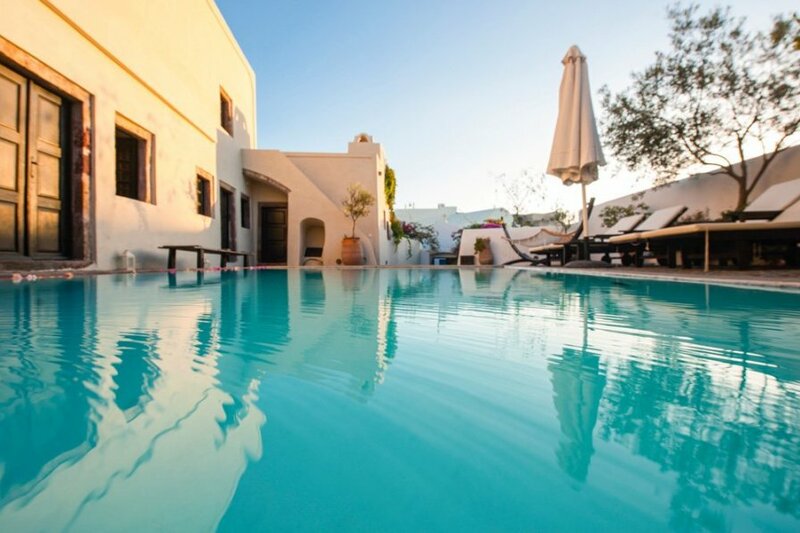 Villa Sophia has a fabulous location in the peaceful village of Megalochori on a quiet, winding street, away from the hustle and bustle of nearby Fira. The villa is situated just a short stroll away from the picturesque central village square with it's pretty churches and bell towers. A handy selection of amenities such as restaurants, shops and a fantastic local market, where guests can stock up on snacks and wine, can all be found in Megalochori. A wider range of amenities and exciting nightlife can be found in Fira which is just a 15 minute car journey away.